Creating your dream space is not only a dream of yours, it’s a dream of ours too. Let’s get together and talk about how to make that happen. It’s free and there’s no obligation. Because we’re a full-service, custom home designer and home builder, we can handle all the details once you’ve found the perfect location. 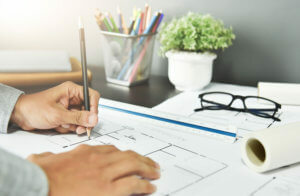 As a general contractor, our skilled and trained designers, architects and construction managers walk through the entire process with you, hand-in-hand. That assures you that your initial vision will be carried through from start to finish and you’ll love your new home, remodeled project or commercial space. So let’s get started. Call us today!